Travel with us into the past and read about the beginnings of auto racing. This book is a collection of short stories previously published in magazines over the last twenty plus years. 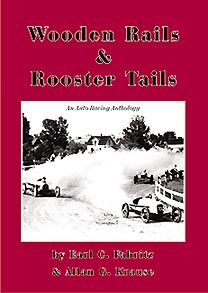 By putting them in a book, you can understand the history behind the race tracks, men and machines which created a foundation for today's modern auto racing. Because of Milwaukee Mile's Centennial Celebration, we have included several stories about the Mile and racing in Milwaukee & Wisconsin area. We have a story on the Fresno, California's mile dirt track and Sioux City, Iowa's two-mile dirt track.